Right, wrong, or misunderstood – the compelling case of Trayvon Martin and George Zimmerman has been interpreted in many ways, thus far. Let’s hope that truth will be among these. The case was much clearer last year after it gained mass media attention. Many believed that Zimmerman was guilty of murder. Nearly two weeks after the trial began, that number had decreased, according to a Rasmussen telephone survey conducted in May. Now at least 40 percent believe that Zimmerman acted in self-defense. The way this case has played out in court lead some to believe that the Zimmerman trial is about, both, prejudice and racial profiling. On the evening of February 26, 2012, George Zimmerman, a 28-year-old multi-racial Hispanic American, was the neighborhood watch coördinator for the Twin Lakes housing community, in Sanford, Florida. Martin was temporarily staying there, while visiting someone. At the time, Zimmerman was driving through the neighborhood when he noticed Martin. Martin was returning to the Twin Lakes housing community after having walked to a nearby convenience store. Zimmerman called the Sanford police non-emergency number to report what he considered a suspicious person. Zimmerman stated, “We’ve had some break-ins in my neighborhood, and there’s a real suspicious guy.” Zimmerman described Martin as an unknown male “just walking around looking about”. He stated, “This guy looks like he is up to no good, or he is on drugs or something. : Zimmerman reported that the person had his hand in his waistband and was walking around looking at homes. On the recording, Zimmerman is also heard saying, “These a**holes, they always get away.” Apparently Zimmerman assumed that Martin, who was 17 at the time (and would have turned 18 this past February) was armed with drugs, but in turned out Martin only had Skittles and iced tea in his possession. About two minutes into the call, Zimmerman mentioned that Martin was running. Zimmerman followed Martin, and eventually lost sight of him. The dispatcher then asked Zimmerman if he was following him. Once he admitted to doing so, the dispatcher then stated that he shouldn’t do it. Despite replying “Okay“, Zimmerman seemingly followed Martin anyway. Zimmerman says he wasn’t following him. Zimmerman asked that police call him upon their arrival so he could provide his location. It is said that Trayvon Martin was running. Reports have also shown that it was raining that night, and since he was only wearing a hoodie, with no umbrella, perhaps he wanted to get to his destination quickly. The most common speculation was that he started running because he noticed that Zimmerman was following him. After Zimmerman ended his call with police, a physical encounter took place between Martin and Zimmerman, which ended when Zimmerman fatally shooting Martin with his black Kel-Tec PF-9 9mm semi-automatic pistol. This happened near the rear door of the townhouse where Martin was staying. The incident generated huge outrage across the country for months and led to a wide-ranging conversation about the state of U.S. race relations. Zimmerman acknowledged shooting Martin, but said that it was in self-defense. Attorneys for Martin’s family have accused Zimmerman of profiling Martin and shooting him for no reason. Much evidence continued to unravel. For example, despite a few speculations, there is no evidence to support that Martin handled the gun that he was shot with. According to test results made public last May, there was only evidence of only Zimmerman’s hands on the firearm. Zimmerman stated that before the shooting, there was a violent fight between them and had pictures to prove it. Those photos, reportedly taken minutes after the shooting, showed streaks of blood on the back of Zimmerman’s head. Another photo posted on Zimmerman’s defense website showed him with blood on his nose and lips. Despite this, an analysis showed that the scrapings from underneath Martin’s fingernails did not contain any of Zimmerman’s DNA. Back in December 2012, Zimmerman filed a lawsuit against NBC, accusing the network of taking his comments to the 911 dispatcher out of context in an effort to sensationalize the case and make him look bad. The lawsuit accuses the network of removing dialogue and dead air between Zimmerman and the dispatcher to bring comments that Martin appeared to be “up to no good” and “he looks black” closer together. Another detail that has many on the edge is Florida’s “Stand your Ground” law. Adopted in 2005, the law says that people who feel threatened don’t have to retreat from danger, no matter where they are. This is Zimmerman’s main defense. After his arrest, his supporters said that the violent incident demonstrated the precise need for the law. Others state that the law encourages a vigilante mentality. The law, also, states that people who use fatal force, within the guidelines set out by the law, are immune from prosecution. A law which many find hard to believe. One twist in the case was the star witness, Rachel Jeantel. Some believe that Jeantel may have been more detrimental to the prosecution’s case than a help. Others feel she was helpful and remained consistent despite any other issues. 19-year-old Jeantel, a friend of Martin’s, is the prosecution witness in the trial. She has also been the subject of much negative conversation (and strong support as a result of the negative conversation). Jeantel was on the phone with Martin, before he was shot. Besides Zimmerman, Jeantel was the last person to talk to Martin before his death. It’s unfair for many to blame her lack of preparation for the trial on her “background” and “upbringing”. When one experiences loss of a loved one, how can one prepare to “speak well” when describing the incident. She was riddled with sadness. Jeantel recently shared that Trayvon was one of the few people that never made fun of her. It’s clear that all who are defaming Rachel Jeantel need to realize that she is not the one on trial. Scrunity should lie on whether Zimmerman had a right, under the law to shoot Martin on the night in question. Jeantel’s reason for being on the stand was to describe what she knew of the last minutes of Trayvon Martin’s life. Her physical appearance, and posture, and the way that she spoke is beside the point. It was even more unjust for the opposing counsel to exploit her shortcomings as part of their strategy, not to mention how she was bashed on social media. These antics are irrelevant, as far as the merits of the case go. In this situation, Rachel Jeantel hasn’t killed anybody. Therefore everyone should focus on what really matters. Now we wait for the jury made up of 6 women to deliberate and share the verdict. The city of Sanford, the state of Florida, the nation…and perhaps, the world, is watching. 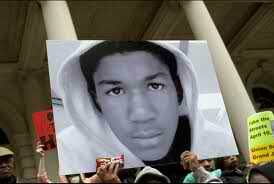 The Martin family and the Zimmerman family are hurting and continue to anxiously await the approaching verdict. There is a call for peace in Sanford, Florida. One thing’s for sure, this trial has opened up a conversation we’ve had many times before in America. Let’s hope that we can come to common ground and decrease and, eventually, eliminate these issues. Coverage of the George Zimmerman trial can be seen on numerous news stations and websites.